Portfolio – Vintage Crop Insurance Agency, Inc.
As a “recognized leader in crop insurance,” we understand that the biggest factors of your farming operations are largely controlled by forces beyond you; how your crop grows and its worth. But with the help of the right partners, you can manage these areas. Vintage was founded with a focus on building strong relationships through providing superior service to each grower giving them piece of mind knowing that the decisions made today carry the weight of future generations. Risk management decisions are one of the most important decisions our growers make each year. We take pride in partnering with each client and guiding them through this annual decision process. 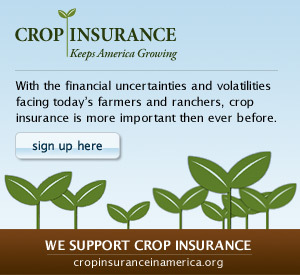 Vintage Crop Insurance can help you with all your crop insurance needs. We are here to protect your crop, your investment and the future of your family farm. Decisions you make today carry the weight of future generations.